Link Roundups – From Last Month And Beyond! A Sunnier Bear lists off different ways fights encourage (force?) the use of two tanks. A very good summary of MoP tanks fight styles. The Daily Frostwolf has a series (term used loosely) on their latest forays into the world of arenas and tournaments and the like. Pretty neat stuff, especially when reading from the perspective of a pvp noob like me. Here is the second post on arenas, and then the third is here. Achievements Ahoy has a list of cosmetic-type items that would be cool to have in an in-game WoW shop. Looks good to me! Though really, wouldn’t scribes make dye since they’re already milling herbs for ink? /SCRIBEPOWA (Plus, some of these, for the WoW game engine, would be hard to implement, like armor dyes (the coolest idea, of course). And trading in multiple pets for a better pet? Yes please! Alt:ernative also talks about what would be on her list of things to buy in an in-game store, as posed by the Community Blog Topic from WoWInsider. Variant Avatar also has some thoughts on Blizzard’s cash store. GMing can be hard. Alt:ernative gives an example in the post, “When Love Breaks Down“, and further elaborates on her GMing in “Cruel to be Kind“. Bible of Dreams lays it out pretty clearly: The Raid Boss Doesn’t Care if You’re Not a Raiding Guild. Spellbound is too cool for Tirion’s help while defeating Arthas. Let’s do the time warp agaaaaain! Or… just read this article by The Grumpy Elf on how time perception during fights in-game can seem to warp. That’ll do. In An Age has been playing a game called Don’t Starve, and boy does it sound hard. Not too sure if I’d enjoy it or rage quit after dying for the 10th time. Seems interesting though! (You can read a follow-up post on Winter here). MMO Melting Pot pointed out MJ’s delightful article on Barping – Bar RPing – as it is in SW:TOR. A very good references for RPers, even if you do not play SW:TOR as much of the advice can be ported elsewhere! Also on SW:TOR Life, MJ interviews a person who RPs as a droid. Sounds like fun, and a nice change of pace to boot! The Wolf Den has an interesting post called “Confusing Gear-To-Play with Learn-To-Play“, stating that while people may say ‘l2p’ in games, nowadays no skill is involved with games – merely more gear (gotten through time). I’m not sure if I entirely agree, at least when thinking about WoW — after all, even if you put a poor player in the best gear, they still will not function as well as well-communicating highly-skilled heroic teams. And I would expect more parity in raiding (such as everyone at the start of an expansion doing nearly equally well on all bosses in an instance). The article still makes a good point, though. Lady Jess has caught the bug that’s been sweeping twitter — Animal Crossing. And it leads to much much more than that! Hestiah is also playing Animal Crossing: New Leaf, and has lots of advice to share. For example, I’m really wishing I had planted my first perfect pear! Oh well, a little late now. And thank goodness I ended up with an eye shape that I like! I’ve been quite content the past few months, with nary an update. I seem to only get motivation to write at work or while otherwise occupied, but today I’ve finally decided to write — if only because there will be little point to talk about this expansions exploits with Mists just around the corner! While my out-of-game time has been filled with house hunting and playing in the Pathfinder Society (and work), my in-game adventures have been filled with Heroic Raiding (a relatively new experience for Xcessive!) and Auction House playing. Both activities have been done with great success. As of writing, we’re 6/8 in Dragon Soul Heroic. This is, by far, the farthest we’ve ever gotten on Heroic in any dungeon — a huge accomplishment for our raiding team, even if we’re definitely not ‘cutting edge’. Our first successes were Morchok and Ultraxion, which I think it fairly typical for raiding teams. We stuck with them for awhile until we felt ready to tackle Yor’sahj. I had looked up the Yor’sahj Ooze calls on Icy Veins’ Heroic Yor’sahj Strategy Guide (and I would highly recommend their site for looking up boss fights – it’s very informative!) 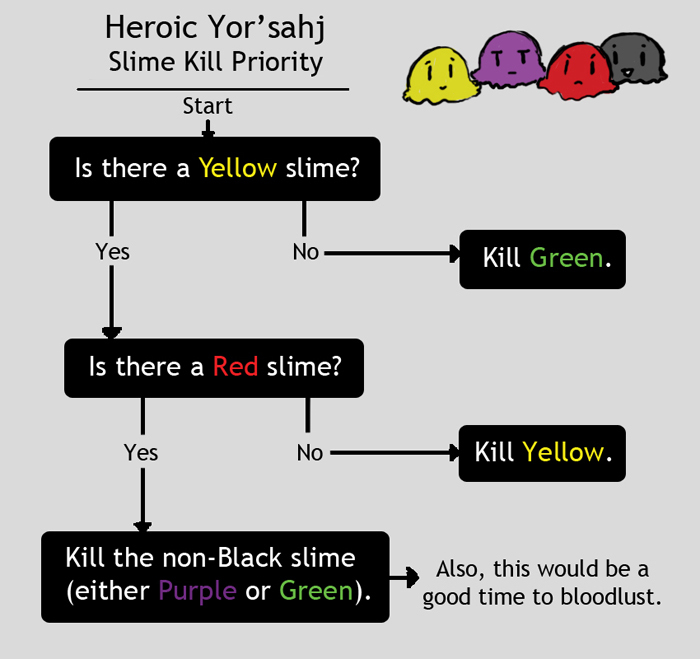 Based on their recommendations, I came up with the prioritized slime kill order… and therefore became the person who called out the slime kills for the fight. I think on our first day it only took 2-3 attempts to get him down, and we got the Rainbow achievement too, haha. So from then on I became the slime call person, which works out pretty well since I can easily tell the other healer when we need to count our heals. After Yor’sahj, we moved onto Zon’ozz (it took a little bit to get the fight but we have it down pat now, as long as the DAMNED BALL BOUNCES CORRECTLY). Ahem. Hagara gave us a bit of trouble for a few weeks, but our fearless raid leader found appropriate strategies for both the lightning and ice phases that lead to minimal deaths. I believe we have only four people total chaining lightning during that phase, so it’s easier to heal. We’ve got that phase down very well. Ice phase takes us longer and people are more likely to die, but now that we know you run inside to be dispelled we can actually do it. We’re definitely better off when the fight starts with lightning phase though. And just recently we’ve got ship down. Most of our trouble was with the ship dying right before we got to the second phase, but we worked on our ‘standing in purple’ thing and I’m very certain we can repeat our success. We’ve looked at the Spine fight, but I’m not sure we’ll get it down before Mists, especially with the patch that will change everything arriving tomorrow. We’ll see. I’m not really looking forward to it, because Spine is one of my least favorite fights of the dungeon; it’s a competition between it and Zon’ozz. Raiding is only really fun when you’re doing it with friends who can all joke around. And be flexible with strategies. (We didn’t plan it that way, of course. One of our soakers just happened to die pretty close to the time they were going to stay out, so I merely stood in their place). Also, make sure you look out for mealstroms in your raid. I’ve heard they can rain mashed potatoes on your head, with a side of peas. I’ve steadily kept up with the glyph market. Some weeks I post every other day (or slightly more often); other times I barely make it once a week. Either way I’ve done fairly well for myself the past year+. I’m up to around half a million (that sounds much more impressive than five-hundred thousand, doesn’t it), though if I moved into more markets and/or posted more often I’m sure it’d be higher. After all, that’s pretty much my entire profit for the year or two I’ve been doing it. I know those ‘real’ AH players make waaaay more than that in the same amount of time, but I think I’m doing pretty well for myself. It’s been easier since I’ve branched off to three characters to post my glyphs. They all get the right amount of glyphs so they can hold extras of every glyph without running of of inventory space so multiple trips to the mailbox aren’t necessary as they were in the past. And I only craft when I need 3-4 more glyphs, which cuts down on the number of times I need to craft in a week, which is the major time-sink. Busy times, I’m sure! And we can add to the list ‘relearning my class, again’ once the patch hits tomorrow. What have you been up the past few months? Hopefully it’s something fun! 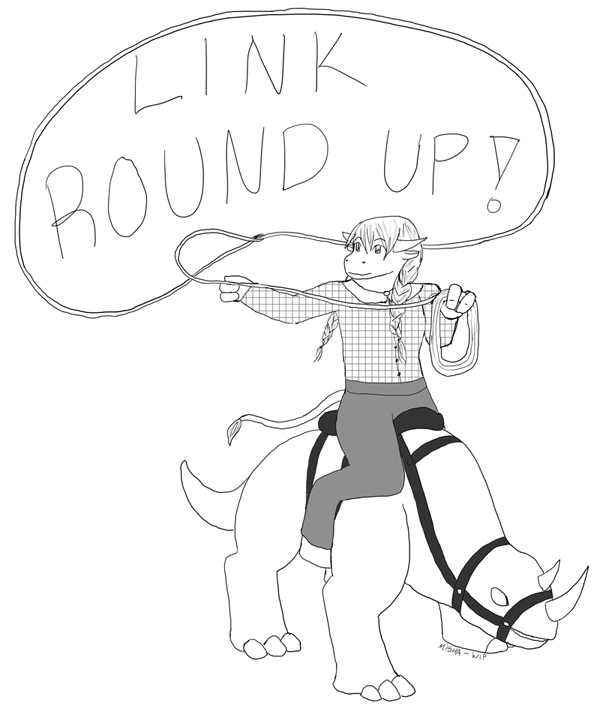 A Wild Link Roundup Appears! 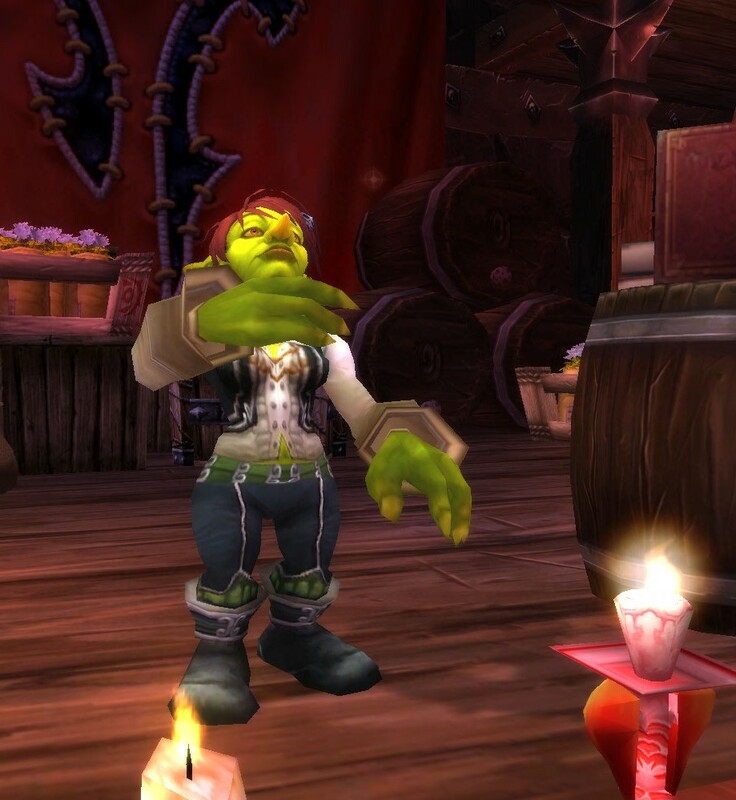 Happy Hallow’s End and welcome to the Link Round Up! 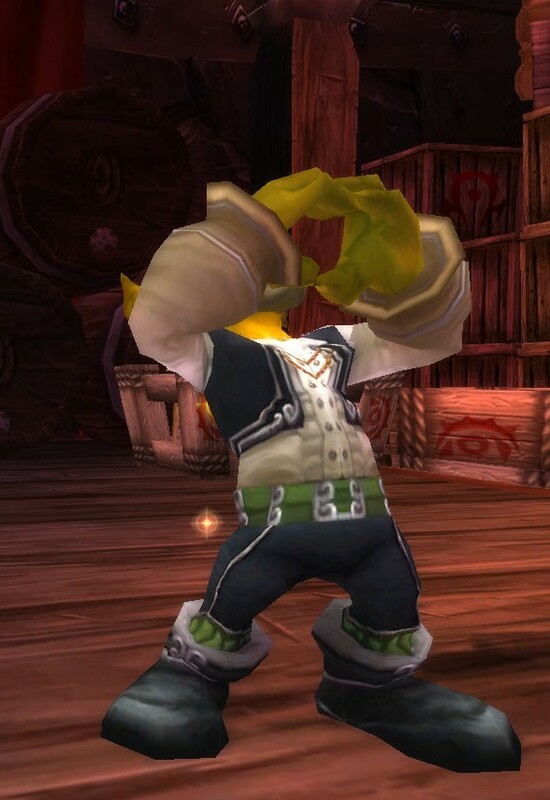 Today we have some thoughts on leveling, Pandaren, gold making, art, and storytelling. But first up is some Hallow’s End goodness! For those who are last-minute trick-or-treaters such as myself, Revive & Rejuvenate has a listing of all the candy sites in Azeroth! Need some extra gold this Hallow’s End? Cold’s Gold Factory recommends you check the chests in SM: Graveyard! He also mentions that the PTR has BOE Sinister Squashlings and recommends you hold onto them, just in case the PTR isn’t lying. There’s a nice little post on Just My Two Copper about wisely investing your time when playing the AH. I know I have trouble balancing my other WoW activities with playing the AH; it’s either too much or not enough! Priest with a Cause is reviewing zones from both sides, and has some interesting thoughts on Azshara and Ashenvale. Cynwise‘s Shaman alt, Cynix, tries leveling through PvP some more, and raises some questions about PvP XP gains. (Play-by-play of Cynix’s leveling experience can also be found there). 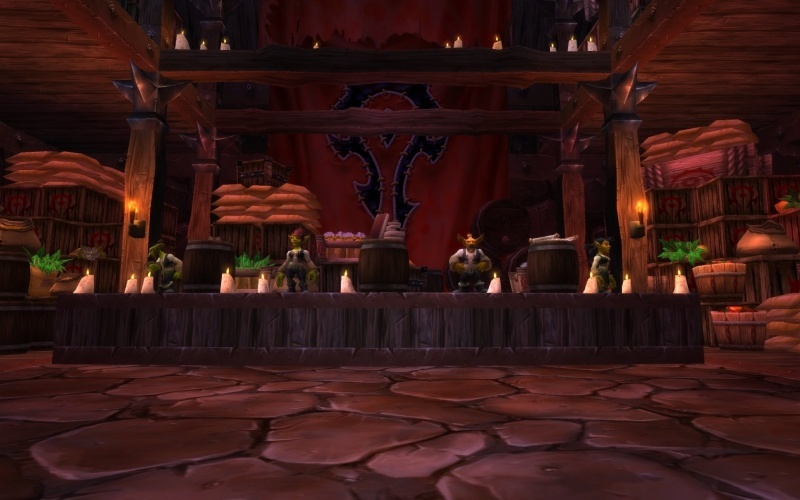 Holy Word: Delicious has a nice post speculating about Monk Melee healing. I, for one, am looking forward to it. Several other games have the ‘do damage to heal’ classes and I’ve found them rather fun. You just need to think differently. Rades mentioned this post at Flavor Text that talks about why Pandarens might actually a legit reason to be chill. And speaking of Flavor Text, Cat has decided to start drawing some WoW characters, and one of them is mine! I’ll definitely be showing off the results! In that same post, Rades also asked for suggestions for NPCs with interesting stories to tell after the Shattering for his NaNoWriMo project, Letters from a Shattered World. You should submit some! Anyway, that’s all for this round up! Thanks for stopping by! The Auctioneers in the Valley of Strength - Fazdran, Ralinza, Drezmit, and Xifa. Picture from Wowpedia. Drezmit, auctioneer extraordinaire, stopped eating his breakfast long enough to eye his coworker, Xifa. Her grin was a mile long. His other coworkers — Ralinza and Fazdran — kept stuffing their faces, though their eyes were following the conversation. “Do I hafta?” he mumbled before eating a big spoonful of porridge. “What’s that got ta do with me, toots?” Drez asked, his mouth full. “I know that. Everyone knows that. 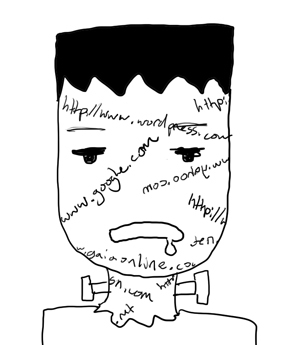 But the point remains — what’s that got ta do with me,” Drez said again. He smirked a bit as Xifa glared at him. “I think she’s hinting at something,” Ralinza noted, nibbling on some boar bacon. The others shook their heads. Their bookkeeping didn’t afford them much time out of the Auction House — not that they minded much. The pay was good. Very good. Fazdran swallowed his large mouthful of food. “Yo babe, I can give you a gift any time you want!” He wiggled his eyebrows in Xifa’s direction. She squared her shoulders and opened her mouth to retort, but Ralinza beat her to it. “Like she’d want a gift from you. You’re so cheap, it’d be a box of air!” All of them, besides Fazdran, snickered. 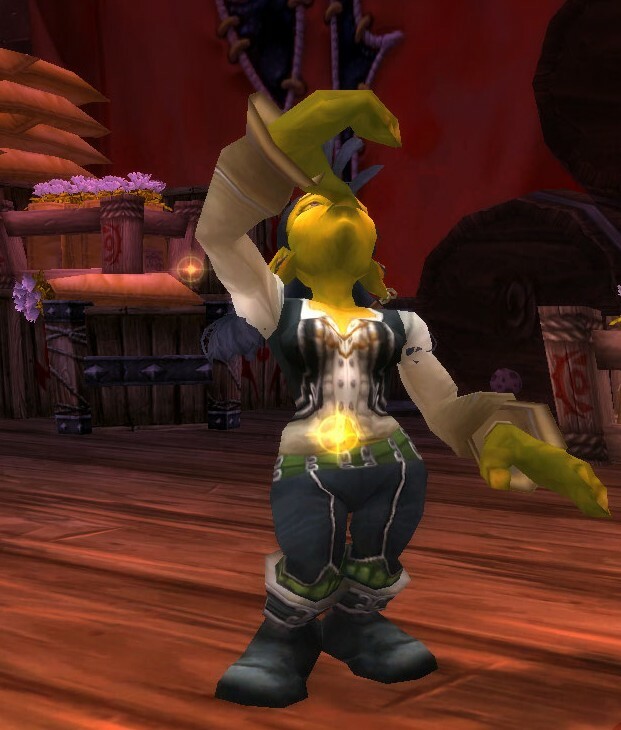 Any response he may have had was interrupted by a call from the front of the Auction House. “You ready back dere? We’re ’bout ready to open up,” Guard Wabang shouted, just as he did every morning. There was a flurry of movement as the goblins simultaneously shoveled food into their mouth while cleaning off the table, just as they did every morning. “Yehh, yehh, eer ‘om’ehn” Drezmit replied with a food-filled mouth. A few moments later, they collectively dragged themselves out into the main room to face a new day of ledgers and gold. 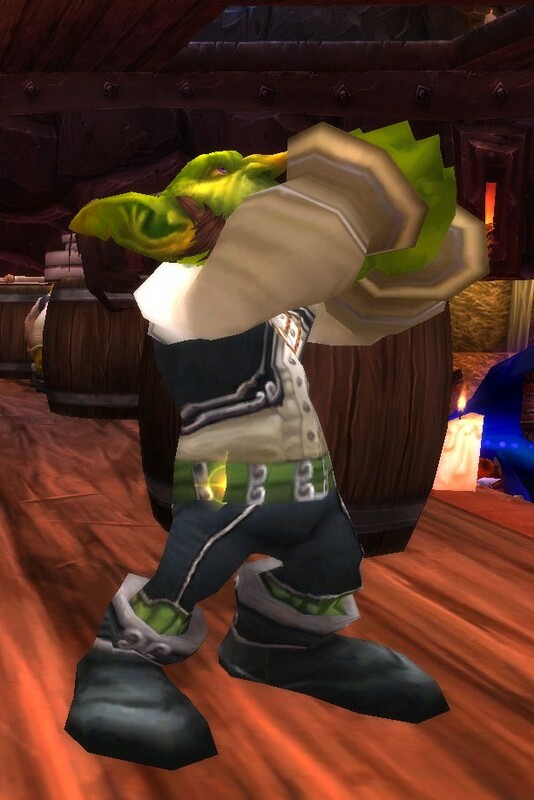 Usually the goblins spent the time after the Auction House closed in relative silence, finishing up their paperwork before handing it off to their subordinates. But tonight was a little bit different. “I got 37 chocolates today. 37! That makes 63 over the past two days! 63 free, delicious chocolates!” Fazdran exclaimed. “Oh pu-leaze. I got 103 chocolates — not to mention some wonderful smelling perfume,” Xifa bragged. “I’m up ta 288 chocolates now.” Xifa smirked at Fazdran. He threw his hands into the air in annoyance, and then turned to plea to higher powers. “It might do you some good to deal with customers who ain’t fawning all over you,” Fazdran sneered. The two other goblins nodded, a little sheepish. The three other goblins at the table stared at him as if he had grown horns. “You? Done eatin’?” Xifa squeaked. “You? Headin’ out ta work early?” Drezmit exclaimed. “You got a fever or something?” Ralinza questioned. The other goblins narrowed their eyes. “I’m not too sure chocolates are a balanced meal,” Ralinza said doubtfully as Fazdran got up from the table. But breakfast lasted noticeably shorter that day… and their lunch break was almost nonexistent. Ralinza had just finished jotting down an order when a Blood Elf came over. He thrust an open box of chocolates into her face. “Listen, not that I mind all this chocolate and all, but I’ve been on a mostly chocolate diet the last few days and me and my doctor have been talking about cutting back…” Ralinza pushed the box back towards the elf. He offered it again. “Please try one of these delicious chocolates made by the Crown Chemical Company,” he repeated. Apparently she had used too many words with this one. “No thank you,” she said. Again Ralinza pushed back the box, and again it was offered, with more force. “Please try one of these delicious chocolates made by the Crown Chemical Company.” The Blood Elf spat the words out from a tight smile. “You got too much wax in your ears or something? I said I didn’t want any. 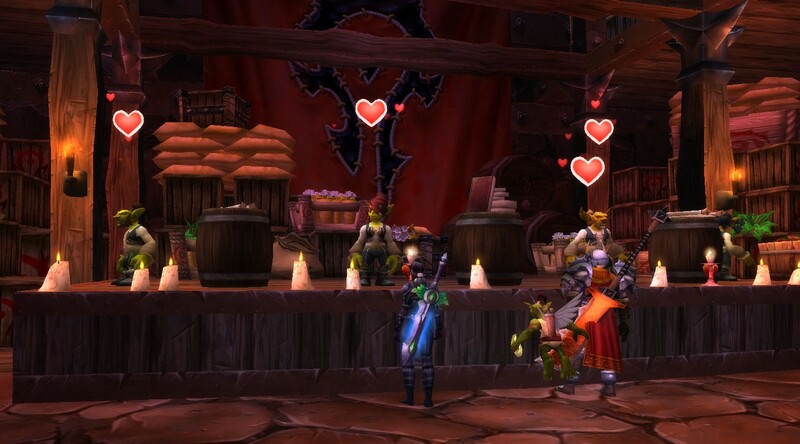 Now scram — you’re holding up paying customers!” She gestured to the growing line behind the Blood Elf. Ralinza glanced around the Auction House. There was a suspiciously high number of people chewing something. Presumably chocolate. She did, but left it sitting in her hand. He seemed satisfied to have one less chocolate, though, and moved out of the way. The Tauren who was next in line stepped forward and started unloading a few goods he wished to list. It then dawned on Ralinza that she would have a hard time helping him while she was holding now slightly melted chocolate. Dropping it on the ground seemed like such a waste — after all, it was free food, the best kind. Mumbling slightly to herself at the dilemma, she popped in the sickly sweet chocolate into her mouth and began to help move the Tauren’s goods. “‘Linz, toots, could ya take this order over ta—” Drezmit stopped talking, realizing that he was addressing empty air. He turned to ask Xifa, but she was gone too. “Right. Well, this can wait.” Drezmit turned back to face the auction house, mostly empty during the afternoon lull. A moment later, his brow furrowed. The two goblins visibly wilted. “And try this wonderful perfume!” cried an Orc. Before either goblin could stop him, they were both douced in the heavy scent. “I better see if my grandma needs some soup,” Drezmit muttered before selecting a chocolate and chewing on it viciously. “Alright you lot, finish up yer business and get out!” called Guard Wabang. There was a flurry of activity in the Auction House, as buyers and sellers put in their last requests for the evening. Tonight there was also a frentic offering of chocolates, perfume and cologne samples. A full half hour later, Guards Wabang and Grimful were able to shut the doors to the Auction House. Turning back to face the inside of the room, they were surprised to see not the usual bustling of the auctioneers, but all of them collapsed on their platform. Wabang and Grimful exchanged a look. “What’s wrong wit you goblin-folk?” Grimful asked. A cacaphony of voices lifted their complaints. Wabang and Grimful exchanged a more knowing look. “Yeah…” Drezmit said. They all nodded dubiously. “You just don’t know da tricks fer dealing wit dis stuff yet,” Wabang said solumnly. “Tricks? You mean there’s a trick to avoid them giving you chocolate?” Fazdran asked. They all sat up a bit, interested. “Then why aren’t you all falling over with horrible stomach aches?” Ralinza asked. Wabang and Grimful exchanged a much more knowing look, accompianed by a nod. Simultaneously, they went over to their posts and each grabbed a large bag from behind some crates. “When were ya gonna tell us about this? !” Xifa demanded. The guards shrugged. “It’s best to learn dese things on your own,” Grimful said. They may appear happy with hearts over their heads, but really they are crying inside.